When you are looking at your personal development plan, there are five small things you want to put focus on. 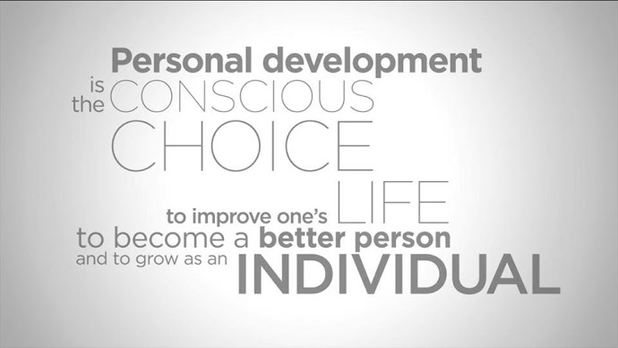 These are things many people do not think about, but they allow you to hit all of the pillars of personal development. They help you to expand upon who you are personally so that you can improve all of the main aspects of your life. These are all things you can work on gradually so that they really sink in and give you something to think about. It is important that you work on all five of these methods. Start with one and work the others in gradually. As long as you have the purpose of using them all, you will find that your personal development plan starts to fall into place. There is a big movement in today's society to be more positive and see the positive things in life and that is exactly what this method works to address. Whenever you look at a person, thing or situation, look at it with the angle of only finding the beauty. This does not mean that you will lose your realism and sense of balance, but it means that you choose to put your focus on the good things. Regardless of the person, thing or situation, there is always something good or something to be learned. Everyone has insecurities and the first step in dealing with them is first acknowledging that they exist. This can be hard to do because few people want to admit that they are insecure about things. Once you acknowledge your insecurities, it is time to really put some thought into them. You want to know why they exist so that you can work on getting rid of them. You will not be able to confront your insecurities overnight, so make sure that you are taking your time and really working on making them a thing of the past. When you extend yourself to others, you are able to learn things about yourself that you would not otherwise. This does not have to be a grand gesture, but just something that makes another person feel special. Something as simple as a greeting card for a friend that you give just because is an excellent and simple way to do something nice for another person. You can also do things like get involved in some volunteer work so that you can meet new people as you are also doing something nice for others who are unable to repay you. You have to love yourself to ultimately grasp a high level of personal development. Writing yourself a letter reveals things that you would not think about otherwise. When you write, your thoughts tend to flow more freely and this gives you the chance to essentially tap into your subconscious mind. You will write things that might surprise you because most people appreciate themselves more than they say to themselves. This is why the writing is important because it allows you write things that you have never said to yourself, but you really need to hear. You have certainly heard the saying that you are what you eat and this could not be more true when it comes to your personal development. You have to give your body the nutrients that it needs or else you will not be able to carry out the other important aspects of your personal development plan. Make sure that you are paying close attention to the nutrients that promote energy, such as the B vitamins. You want to get the majority of your nutrients from the foods that you eat, but you can use supplements to essentially fill in the gaps. These all surely sound simple, but they make a big difference when you are creating your personal development plan. When you are starting with one, choose the one that best matches your needs. For example, if your health could be better, start with nourishing your body and see your doctor to get a physical to get your health back on track. Remember that it can take time to master each of these, so take your time and really put the work in so that your personal development is gradual and successful.